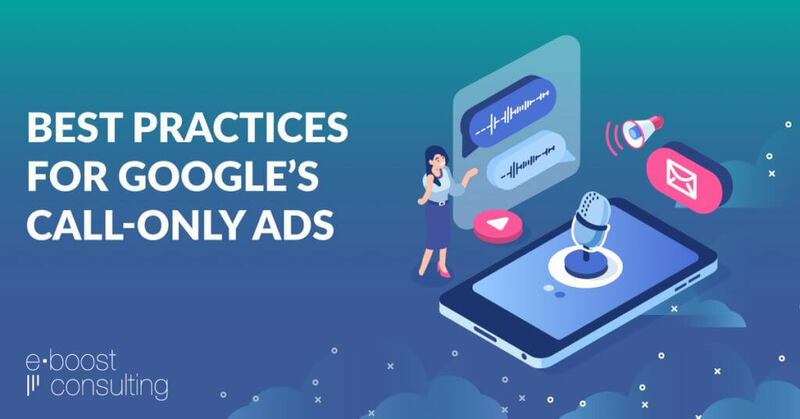 In our last blog post, we told you about an exciting new update for Google’s Call-Only ads that allows for longer ad copy. Jumping off last week’s post, it’s a great time to level-set and ensure that you are following all the best practices (and secret insider tips) for using Call-Only Ads. If you’re not already using Call-Only ads, here’s some background: Call-Only ads are a type of Google Ad that targets mobile devices only. The headline of the ad auto-defaults to your business phone number, and though you can include a Display URL, the ad does not lead to a landing page. Instead, when served to users, and clicked by a searcher on a smartphone, the ad begins a phone call from the user directly to your business. This is a great campaign type if your business can accept inbound phone leads and has a trained Sales team to manage them properly. With Google’s upcoming updates to Call-Only ads, you can be sure more advertisers will be lining up to test them if they aren’t already doing so. With increased competition in the space, you’ll want ensure your strategy is well-thought out and allows for a feedback loop for increased learnings. Here are some of our best practices and tips for effectively creating and managing Call-Only ad campaigns. Target High-Intent Keywords – A seasoned search marketer can likely spot the difference between low-intent and high-intent keywords. 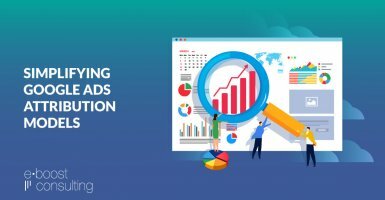 Identifying which “bucket” a given keyword falls into is easy if you consider low-intent keywords further from a sale and high-intent keywords close to a sale along your customer’s buying journey. In our Call-Only campaigns, we like to start with only targeting very high-intent keywords. It makes sense when you consider how our society has changed over the years – as we are much more apt to want to “figure things out ourselves” with as little true human contact as possible. It’s particularly true for certain industries – as we’ve now adopted mobile banking, are more comfortable purchasing online, ordering groceries on mobile apps, and more. Because of this, most people have become accustomed to that “instant gratification” and the idea of executing a phone call seems to slow things down. Because of this, start with targeting your most high-intent keywords first, as low-intent keywords can be tested later. Test Ads to Ensure Effective Copy – Even though Call-Only ads auto-populate the headline of the ad with your phone number, it’s important to consider the rest of your ad copy – especially because it is getting expanded. Test combinations of the following: your Call-to-action (CTA), your Reasons to Believe (RTBs), your features/benefits, your differentiators, give answers to questions searchers might have, solve a problem, play into ego/need/fear/humor, etc. Continuously testing ad copy will help ensure you know what works best for your audience. In turn, once you know the ad combinations that work best, it might influence your Sales team’s strategy for converting users and producing sales when calls come in. Consider What Happens to Other Campaigns Targeting Mobile – If you’re new to Call-Only ads, you might be wondering what to do with your other traditional mobile search campaigns. These campaigns may also offer the ability to execute a call through a call extension. Should you let these campaigns compete? Should you exclude mobile from that campaign and just run Call-Only ads on mobile? The answer lies in your business model and your data. If you have a strong mobile landing page and find value in sending searchers there (based on data), keep your regular search campaigns running on mobile. If you don’t have a good mobile conversion rate and aren’t seeing cross-device onsite conversions then maybe Call-Only ads are the best bet. To be sure, our team isn’t opposed to running these campaign types concurrently but the best strategy would be to figure out which keyword searches are best addressed with a call, and which can be best addressed by your website. For example, if someone is searching for “reviews of company X” – you may have a review section on your website to share with the searcher, but it is doubtful a searcher would call your company to hear reviews. Whereas, if someone searchers “questions about X package through Y business” you may offer a Call-Only ad with messaging that your team is available now to answer any questions related to X package. Schedule Your Ads – Another idea, related to the above, is the idea of scheduling your ads appropriately. Maybe during business hours, you run your Call-Only ads, and during off-hours, you run your traditional mobile search campaigns leading to your website. Either way, the point here is to make sure that callers aren’t getting a voicemail unless your team is really, really, really great at callbacks. Even then though, an unanswered call when you’re offering up a phone number isn’t a great customer experience. Use Your Sales Phone Number Only – If you are trying to sell a service or a product through Call-Only ads, make sure you are using your Sales phone number in your ads, and not a general business number or customer service number. Just like we would advise having minimal fields on a site’s contact form, we would also advise a short and simple process for a searcher to speak with a Sales team representative. People hate pressing a million buttons to get to a real person who can help them. Ensure you have a simple and effective process to get someone on the line quickly. Figure Out How Current Customers Fit into the Mix – Depending on your business type, it’s possible you have current customers, as well as new prospects, trying to reach you. And it’s up to you to decide how you show up when current customers are searching for you. 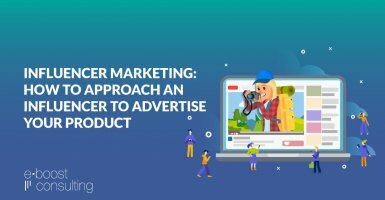 If your marketing budget only allows you to spend money to capture new prospects, consider uploading a list and creating a pixel for current customers and negating those audiences from seeing your ads. Though it’s not foolproof, you should notice less calls from people trying to reach customer service. 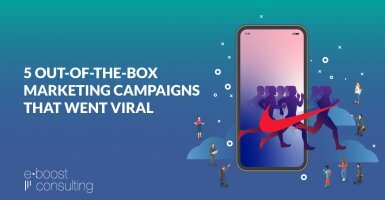 If you have a budget that allows you to continue conversations with existing customers through marketing efforts, considering targeting these users in a separate Call-Only ads campaign with custom messaging and a unique phone number. Yes, you would be paying for customer service calls from existing customers, but you’ve likely improved their experience with your company by showing up how they need you and when they need you. And folks, those are the kinds of things that help improve customer lifetime value (LTV). 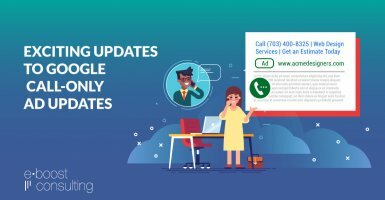 Track/Tag Those Calls – While it is possible to track phone calls in Google Ads using a Google Call Forwarding number – you get limited information. You can’t listen to the calls, or tag calls as an opportunity, existing customer, etc. Really, the most helpful stat potentially indicative of a sale using Google Call Forwarding is the Call Duration, which isn’t great. Instead, consider using a call tracking service like CallRail. It can track calls from your ads and allows you to listen to them and tag the calls appropriately. This is the only way to know if your Call-Only ads are producing real leads or just a bunch of Curious Cathys. Use Your Insights to Further Train Your Sales Team – As you listen to call recordings, you’ll get A LOT of insights. Maybe calls are being passed around too much, maybe the pitch could be stronger, the wait times shorter, the qualifying questions better. Whatever you learn about calls should be communicated in a feedback loop to your inbound Sales team, and to your PPC marketer. Having a great feedback loop for Call-Only campaigns is what can help take your campaigns from good to great. Are you running any Call-Only campaigns? Or, are you looking to test them? Reach out to our team to see how we can help!